The 8-core Intel Core i9-9900K has made its way to the 3DMark database and has scored an impressive 10,719 in the CPU only test and 9,862 when paired with the GeForce GTX 1080Ti. This score is comparatively higher than that of the AMD Ryzen 7 2700X, which posted a CPU-only score of 9,428 and a combined score of 7,570 under overclock. 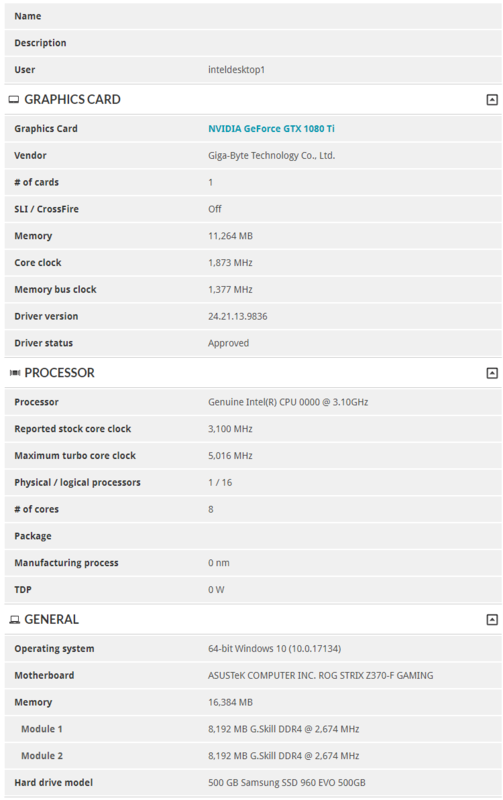 Intel's upcoming flagship CPU, the Core i9-9900K, has made its first appearance in the 3DMark Time Spy database and the scores seem to be impressive. The entry for the Core i9-9900K reports a CPU-only score of 10,719 and a combined score of 9,862 with the NVIDIA GeForce GTX 1080 Ti. Even if the turbo boost at 5 GHz is taken in account, the CPU-only score is still about 1.1x higher than an overclocked AMD Ryzen 7 2700X running at 4.4 GHz on all cores. For perspective, in CPU-only tests (according to Guru3D's benchmarks), the Core i7-8700K scores 7918 points while the Ryzen 7 2700X scores 9,147 points without overclock. With a CPU-only score of 10,719, the Core i9-9900K offers a significant performance advantage. When the GPU is factored in, the Core i7-8700K with a GeForce GTX 1080 scores 7,393 points while the Ryzen 7 2700X scores 7,560 points at stock speeds. 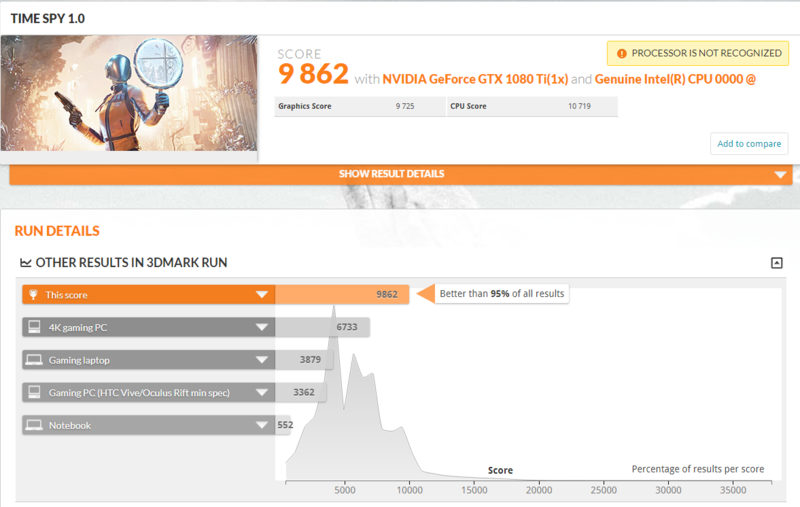 The Core i9-9900K scores a comfortable lead here as well at 9,862 points when combined with the GeForce GTX 1080 Ti. 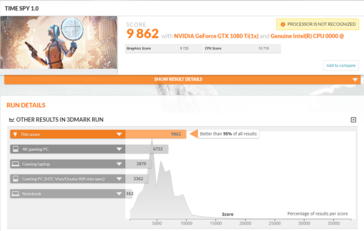 3DMark Time Spy in a very GPU-dependent benchmark so the GTX 1080 vs GTX 1080 Ti comparison is not exactly apples-to-apples, but the performance gain estimates are clearly apparent. 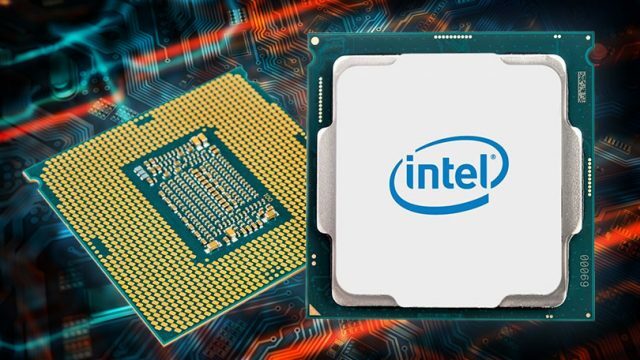 As we've seen earlier, the Core i9-9900K can boost up to 5 GHz on dual cores while the rest of the cores can go up to 4.7 GHz. In this benchmark, the CPU is shown running on an Asus ROG Strix Z370-F Gaming motherboard with 16 GB RAM and Windows 10 x64. 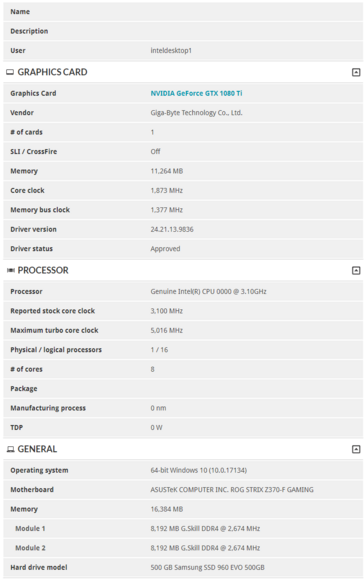 With this benchmark, we can almost confirm that whatever specs we've been hearing about the upcoming 'Coffee Lake-S Refresh' are indeed accurate. In line with compatibility for H310 boards, existing Z370 boards will also be compatible with the new CPUs with a BIOS update. These are just preliminary benchmarks, though and we can expect more refined scores in the days to come. Although the Core i7-9700K won't be supporting Hyperthreading, it will be interesting to see how it fares in comparison with the Ryzen 7 2700X in GPU-dependent benchmarks. If the Core i9-9900K can also prove its mettle in multi-core performance, the Ryzen 7 2700X will finally have a solid competitor.